When one thinks about bridal fashion, there are a few distinguished names that come to mind. One of these names is Bengali ace couturier, Sabyasachi Mukherjee. His designs epitomize glamour, elegance, grandeur, class, royalty, and modernism. 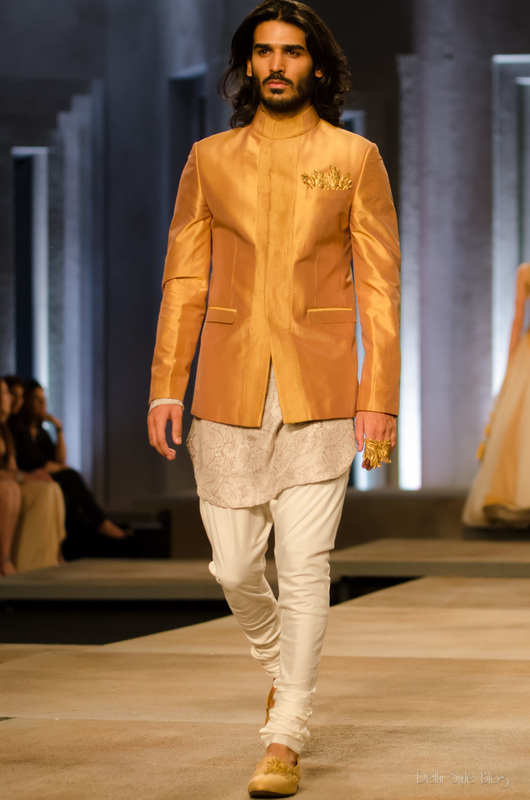 So if you want to feel like a million bucks on your wedding day, Sabyasachi is a one-stop shop for both bride and groom. Let’s take a sneak peek into his latest designs and innovations of 2013-14. After a 5-year-long interval, Sabyasachi finally made a comeback (and how!) at the Lakme Fashion Week in 2013. Here, he showcased his collection called ‘Absolute Royal’ that, as the name suggests, was a rich array of satin, velvet, and other expensive-looking frill. Imagine taking your wedding vows wearing one of these beautiful masterpieces in a grand palace in Rajasthan (check blog on Rajasthan for more). Enough to make you feel like purple blood! Wedding Fashion by Sabyasachi Mukherjee. 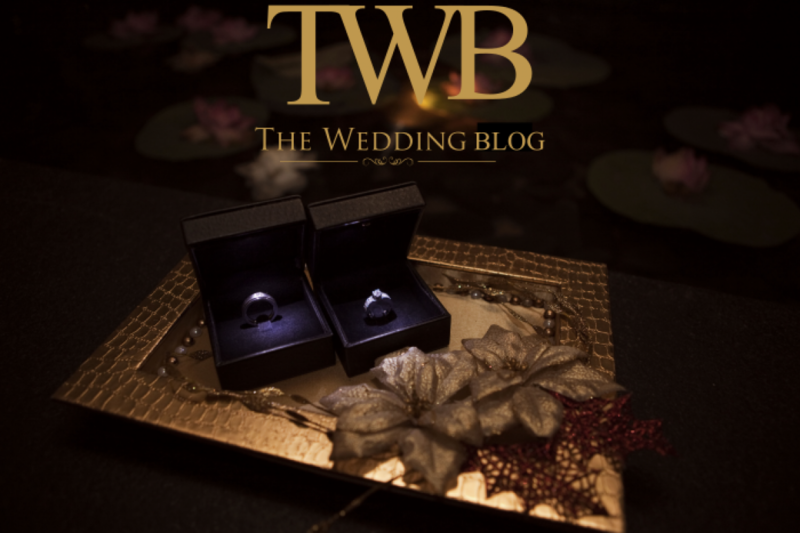 Blog by The Wedding Co. Wedding Designs by Sabyasachi Mukherjee. Blog by The Wedding Co.
Anarkali suits are clearly the trend of the season, and Sabyasachi’s playful twist on a kurti and lehenga that gives the effect of an anarkali was the flavour of the show. This kurti-lehenga mix is an excellent design for all the demure brides out there, as it is conservative, yet chic and suits any and every body type. 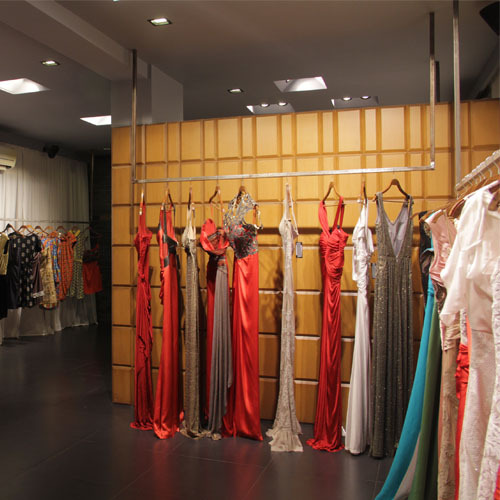 The grooms needn’t worry either, because Sabyasachi has a little something for everyone. Your wedding guests are sure to be spellbound when you make an entry in one of his vivacious Jodhpuri and churidar designs. Our pick is the breathtaking ensemble worn by Netra Raghuraman and her partner on the ramp. 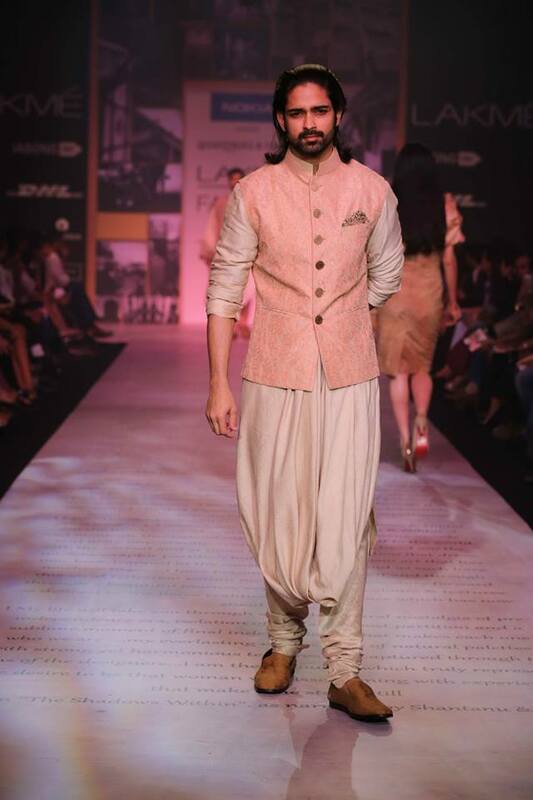 In all it’s glory, it was the look of LFW 2013! The royal hangover has continued in 2014, and the traditional saree and anarkali continue to re-establish their status. However, the start of this year has promoted subtler, deeper tones, which is a refreshing change from the usually vibrant colours that we see in Sabyasachi outfits. Deep blues, vibrant reds and rich pinks have given way to subtle opium, golden, white, dull pink and grey tones. In Sabyasachi’s own words, art and culture play a great role in his design sensibilities, so most his designs have an old-world, yet modernistic charm about them. His outfits have a very traditional, ethnic feel. Recently, he successful combined the splendour of the East with the swank of the West in a beautiful western wedding gown, the first ever made by the Sabyasachi brand, that he especially designed for the famous TV show ‘Band Baajaa Bride’. The intricate embroidery on the gown is a play on the traditional lehenga, but its cut and fitting provide the feel of a Vera Wang. In short, it’s the kind that will make your jaw drop! Sabyasachi is a pioneer with using Indian textiles and fabrics in a unique way. When he first started out, he had no connections, but his edgy, ethnic silhouettes, exquisite bridal wear and bold prints soon left a deep mark on the fashion industry. 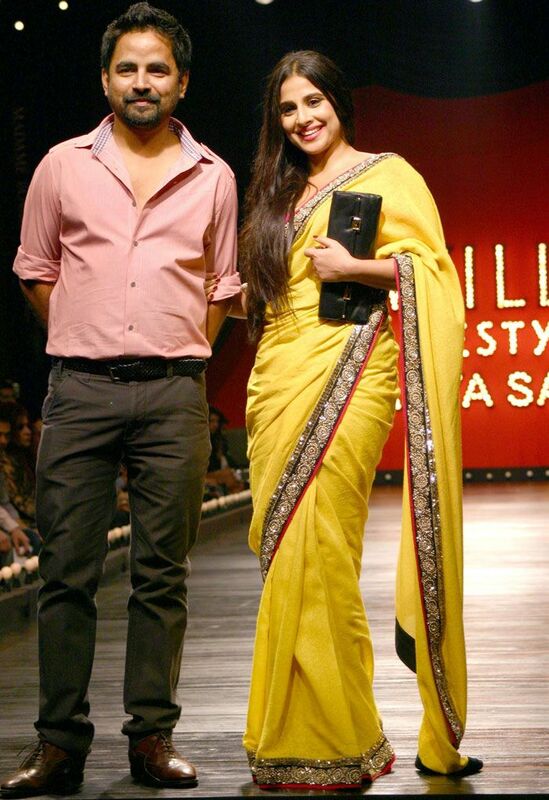 Today, no Bollywood wedding, award function, anniversary or occasion is complete without Sabyasachi. 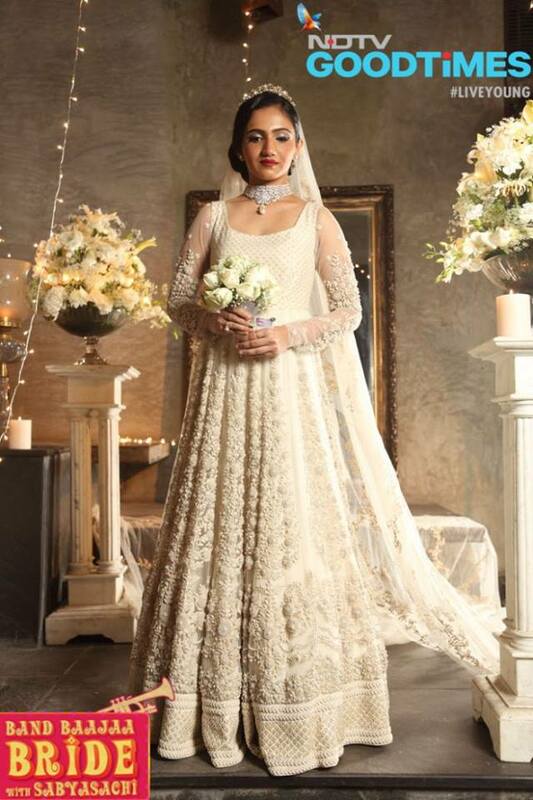 Pick a brilliant ensemble from his royal bridal couture to make your wedding affair one to remember. To be sure, it’ll be a match made in heaven!